Body mind healing rests on two paradigms, which psychologists use to explain the relationship of body and mind. One paradigm is the biological. The biological paradigm asserts that biological conditions and events determines your state of mind. For example, when you sustain a wound, this causes your mind to take a defensive attitude towards your environment, arouses fear, and causes the mind to assess its alternatives – the flight or fight response. Reducing all mind states to biological conditions is counter-intuitive. There are certainly times when your body is perfectly at ease, pulsating with health and vigor, yet your mind is distressed, hurt or even anguished. You can see that the biological paradigm is not sufficient to explain our states of mind. The other paradigm established in psychology is called the psychological paradigm. This perspective takes up where the biological perspective falls short. States of mind, from the psychological perspective, are dependent on other factors besides biology, factors such as consciousness, thinking, memory, emotions and imagination. The psychological perspective finds causes for states of mind within the mind itself. In addition, this perspective suggests that certain behavior patterns often follow from states of mind rather than from biological factors. Such behavior may impact the body in a positive or negative way. The psychological perspective recognizes that your mind may impact your body’s health, not only by how it directs your behavior in the world, but also, by how your state of mind may affect your body’s chemistry. Body mind healing accepts both paradigms implicitly. The body may indeed be sick because of biological factors alone. A hurricane comes along and you break your leg. Your body’s innate ‘wisdom’ begins to mend the bones, sending a variety of cells and protective resources. Medical healing is effective here. In this case, the biological perspective must always be considered first. Before you employ the mind to heal a wound, you must employ microbiological information on germs and take the necessary steps to avoid infection. Whatever medical help can be applied to a health problem should be considered and, when medically reasonable, applied. Body mind healing accepts and uses the body’s own mechanism for healing itself. Since the mind can affect the body, as, for example, when the mind judges something to be frightening and that judgment causes your adrenaline to flow, the body mind healing perspective asserts that the mind has the ability to either inhibit or encourage the body to heal itself. Body mind healing is a healing method that enlists the mind in the biological healing process. 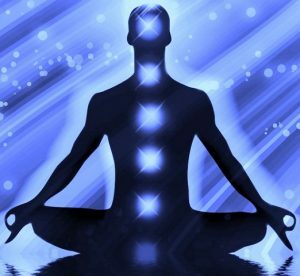 Many body mind healers hold that by concentrating consciousness on the disease or condition, your body is thus directed to focus its healing energies on that disease or condition. Others hold that your mind is capable of visualizing a vital force that enlivens your body, and that this visualized vital force can be directed, by your will, to the affected area, where its healing power may take effect. Extreme body mind healing holds that your mind, by use of one of these techniques, will alone, heal most diseases. Whether this is true or not, we cannot deny that the mind can substantially affect your body’s state through awareness, thought, feeling and imagination. The concept of body mind healing does makes some scientific sense.